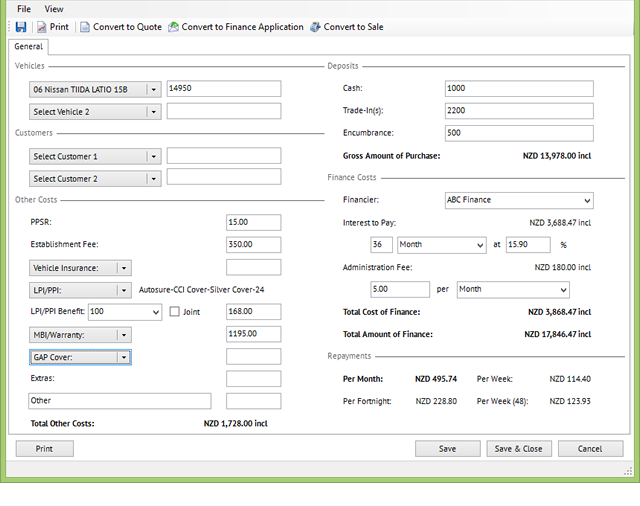 Click the Save or Save & Close button to add the Finance Calculator activity to an opportunity for the selected customer. 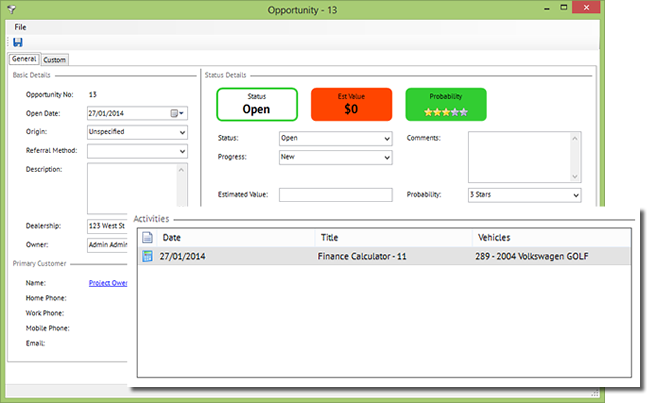 If an existing Opportunity is already Open for the selected customer the Finance Calculator activity will automatically be added to that Opportunity, otherwise a new Opportunity will automatically be created. You can save more than one Finance Calculation (different calculations for different vehicles for example) to an Opportunity. Once a Finance Calculation is saved simply recall it by finding the appropriate Opportunity and then selecting it from the list of associated activities.